Don't worry, the ZeoVit reactor is now 3 hours / 3 hours / 3 hours, leaving the ZeoVit material in the filter for 4 weeks until you replace it for the first time. This is the first replacement interval and the others may be extended to 6-8 weeks. 1. Take 5 drops of ZeoBac daily for the first 2 weeks, 2 to 3 times a week, 5 drops each time. If possible, drop Bac and Start3 at the reactor inlet and enter the ZeoVit material. Can you have a picture to see how the coral looks like? Last edited by jacky; 04-07-2019 at 07:56 AM. Thank you for your reply, I only have a few photos with me at this current moment of a couple of frags I very recently aquired but i can upload more soon, please find them attached. My phostphates stay very consistent but I don't test just after feeding as I am sure they would fluctuate. I will continue as planned with the schedule but didn't know whether just dosing zeofoodplus would be preferable in this situation as my ratio of nitrates and phostphates are out of balance. As for my previous carbon dosing regime I have halved the dosage as recommended by G.Alexander and plan to have stopped dosing it completely by the first exchange of media. Sorry, I don't have experience with this product. if you like, For 1 week each month: 6 drops / 100 L / day. Then (the other 3 weeks of each month) 2 drops / 100 L 3 times a week. This is based on the advice of the Zeo Guide. Regarding, "The ratio of nitrate to phosphate is unbalanced." I didn't understand it. 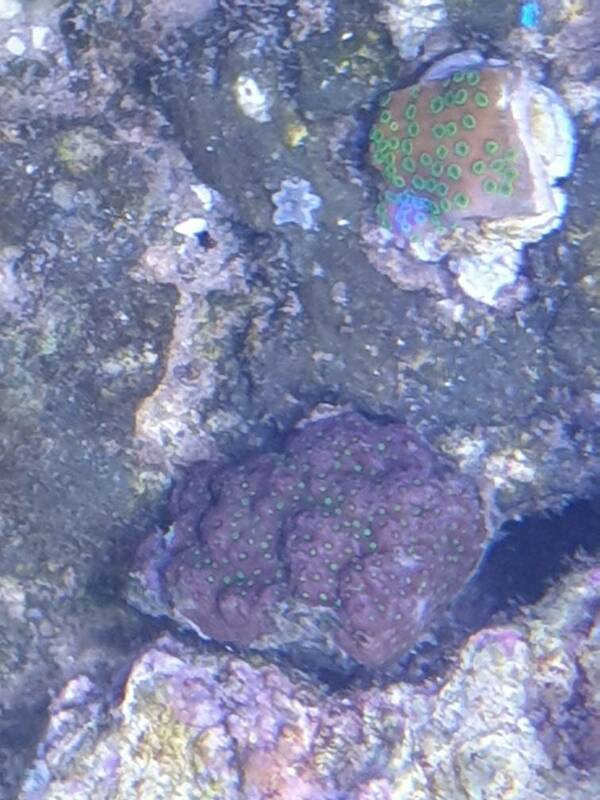 I think coral is a good indicator. Picture red circle - unfortunately I don't know how to call it, basically I don't see any damage to the coral. They are asterina starfish, I have had them many years and the just eat detritus and algae as far as I am aware. Also as for the ratio of nitrate and phostphate , as far as I am aware, as bacteria reproduce they consume 16 parts nitrate to 1 part phostphate? If that is the case my nitrates are to high to be comsummed by the bacteria as phostphate will become a limiting factor, especially if zeostart3 adds nitrates. Do you think it is reasonable? I think it's okay to add N moderately, because there are N for nutritional supplements (not a balance), but all are based on corals, and corals are good targets. Maybe when I encounter NP imbalance in the next day, I will try it myself. My tank NP is 0, the test agent can't measure the value, and the coral grows healthily. As for whether there is a relationship with NP, I really don’t know it, and I always want to know. I will continue as planned with the regime.